A dental crown is type of restoration that completely covers the visible portion of a tooth and restores its form and function. 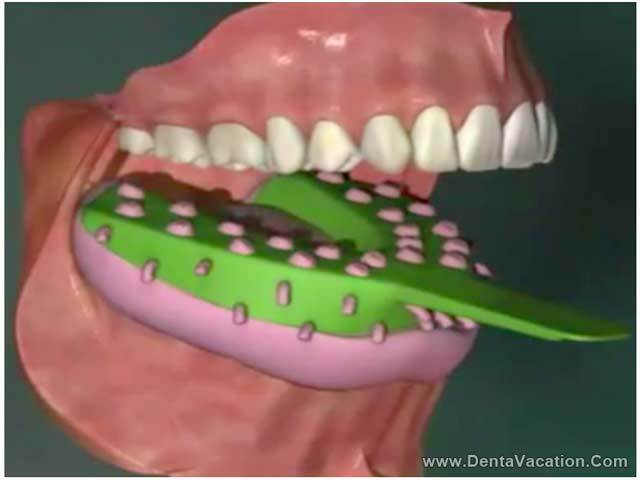 It is basically a tooth-shaped cap, which is fixed over a damaged tooth or implant. 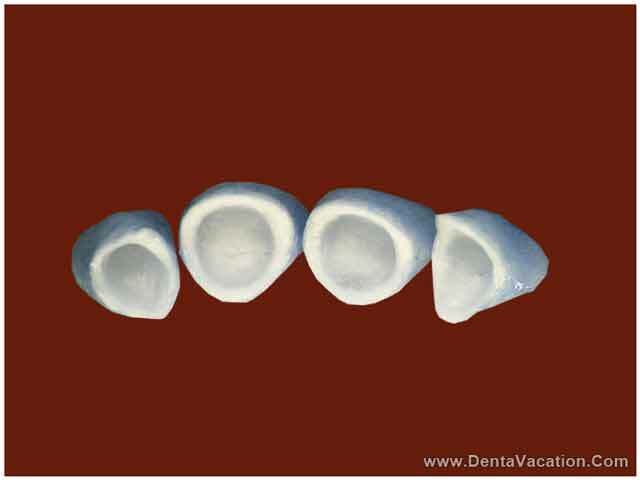 The crowns, or caps, as they are often referred to, are bonded onto the tooth with the help of a dental cement. Crowns are usually needed when a significant portion of the natural tooth is wiped out, and the remaining part is too weak to sustain under the forces of mastication. Also, a crown helps restore the esthetics of a tooth, which could be a primary concern of the patient if his anterior teeth are damaged. One major factor that acts like a hindrance for dental patients to go for crowns is the ‘cost factor’. In fact, any dental procedure is very expensive in the first world countries and not all are able to afford these treatments. 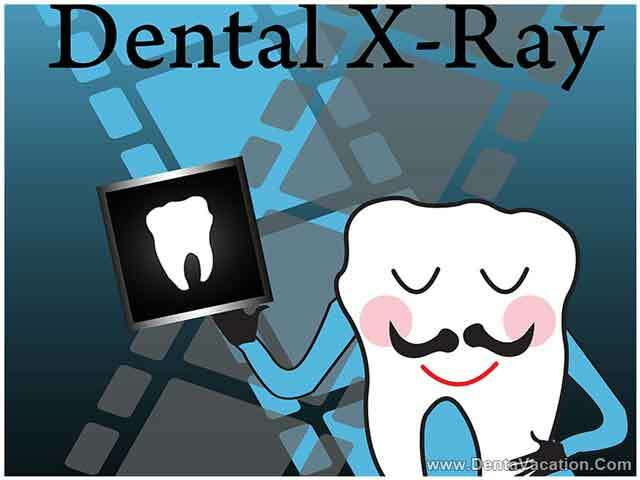 However, in the past few years affordable dental treatments abroad have supported many to achieve their dental goals. For instance dental tourism in Mexico attracts thousands of patients especially from the US and Canada, as dental care treatment cost is lesser and pocket friendly in this nation. Similarly cosmetic dentistry in Bangkok is another affordable option for those who are seeking reasonably tagged good quality dental treatment. 1). Temporary – Only placed for a few days, till the permanent restoration is prepared. They can be made of acrylic or stainless steel. a) All metal – Less expensive, mostly used for posterior teeth as these crowns have good strength but give an unnatural appearance. b) Porcelain fused to metal – Relatively more expensive than all metal, but less expensive than all ceramic crowns. These have decent esthetics (provided by porcelain covering) and good strength (provided by the metal). c) All resin – Least expensive of all. However, they tend to wear down and are also prone to fracture. 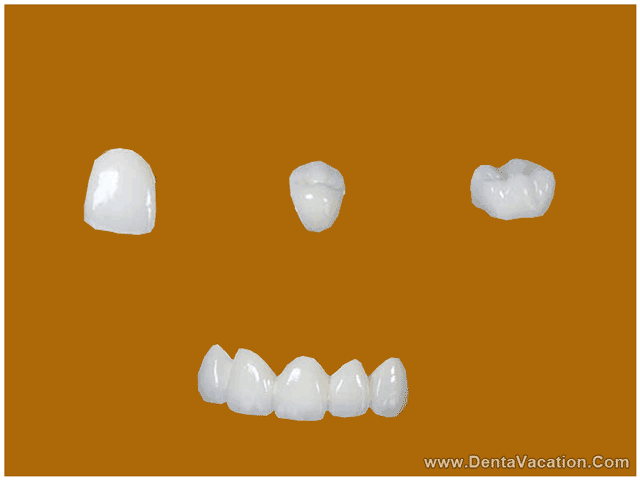 d) All ceramic – Most expensive, but these come the closest to resembling a natural tooth. A weakened tooth with very little tooth structure left, which is expected to break. Teeth, which have undergone root canal treatment are usually considered for dental crowns, as much of the natural tooth structure is reduced during the RCT. To restore a tooth that has worn out because of decay or any other reason. 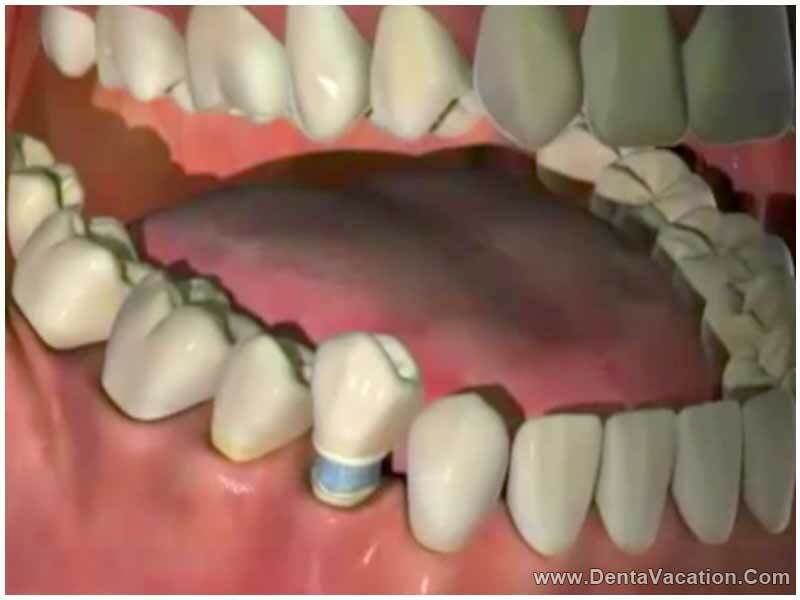 Bridges – when a bridge (fixed partial denture) is placed, the teeth adjacent to the edentulous region are covered with crowns, which hold the bridge in place. Though dental crowns usually do not require much aftercare, patient must try to avoid things that may dislodge or fracture a crown. Avoid sticky foods/ chewing gums, which may pull off the crown. Also, try not to chew very hard foods with your artificial crown as it may get fractured under the heavy forces. Floss regularly, but do not lift-out the material with a jerk as the crown may come off with it. 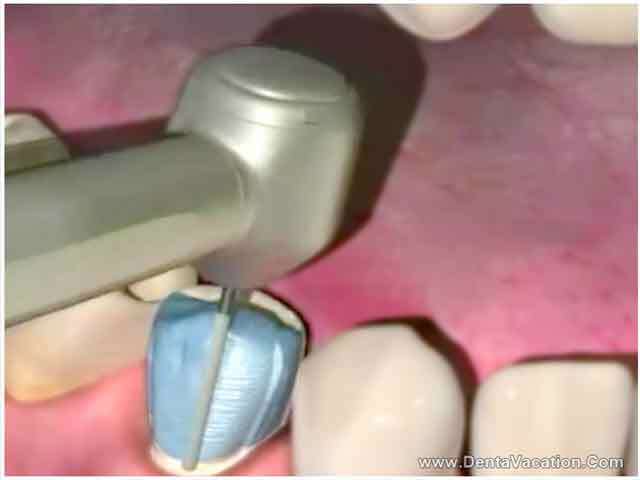 On both the sides of a dental crown, the patient must gently slide out the floss material. In case of any sensitivity in the tooth that has received the crown, contact your dentist. *Mastication – the process by which food is crushed or ground by the teeth. * Edentulous region – the region where no teeth are present.